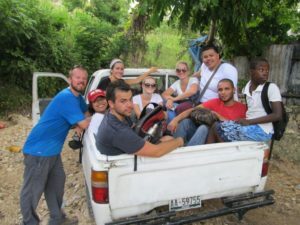 Volunteer | The Beehive International inc.
Come to Haiti and Let Their Lives Change Yours Forever! We believe that there are missionaries in every church that will be willing to contribute some personal time to the mission in Haiti. Why does the Beehive have an international arm? We believe that every member of God’s Church has the deep desire to serve others and be willing to contribute some personal time to the mission in Haiti. We especially encourage those that have been trained by the Beehive as to travel to the mission in Haiti. A wise man once said “The best way to encourage people to prepare for Christ’s soon return is to give them an example of HIS Blueprint in action.” Please help us to create that Blueprint through caring for the sick, the fatherless, and widows in Haiti.